I met my Fairy Godmother! 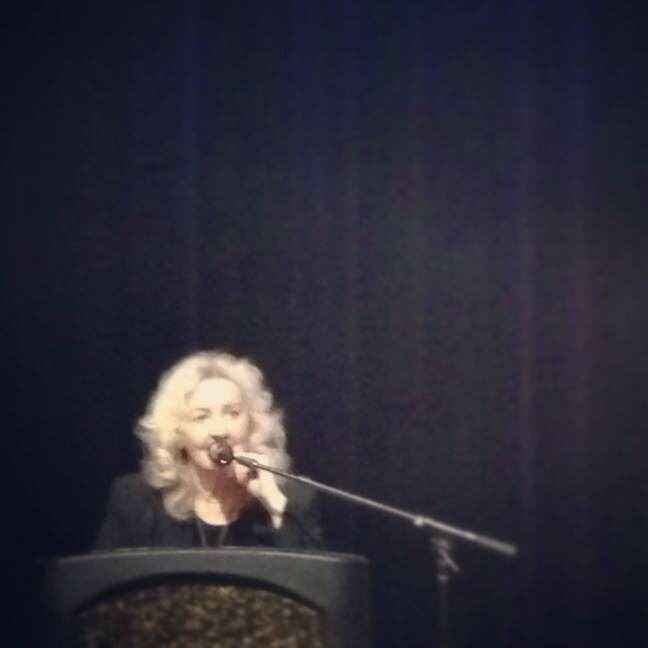 Julia Cameron is my fairy godmother. No. Really. 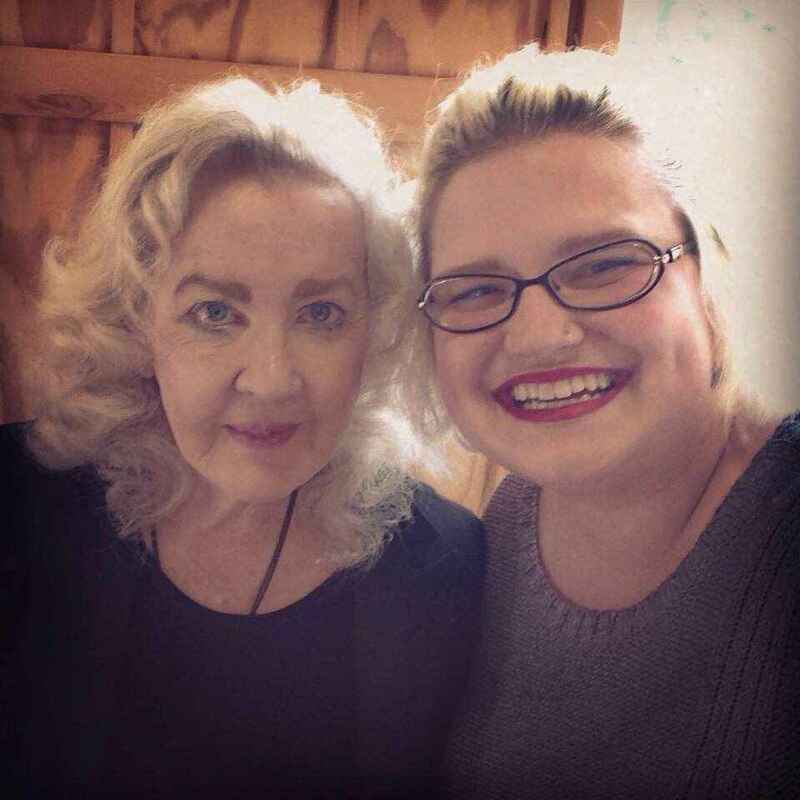 I'm happy to announce that Julia Cameron is hilarious and the cutest. and this weekend I got to hear her speak and meet her face-to-face. If I hear any other good news during my time here during my Artist Residency, I might just keel over from too much. Goodness. too much goodness. Julia Cameron is the author of the book/workbook "The Artist's Way," which is a book I've gone through at least 3 times. One of those times I was honored to facilitate a group of Tacomans through it. Her sequel workbook was a big part of this last Fall. Growing up in a household that highly valued perfectionism and criticism, the words of Julia Cameron are a healing salve to my creativity and have been the gentle but demanding push that I've needed. Her words have pushed me out of the artistic nest I'd built for myself and in my career. She is quite possibly one of the main reasons why I'm writing this blog post from a brewery (with Wi-Fi!) in Leavenworth, WA. I knew that she rarely ventures out of her home in New Mexico for public speaking, so you can imagine how elated and honored I felt, when I heard that she was coming to Leavenworth while I was in town. I can't imagine a more timely, synchronistic providence. She did a mini-workshop last night and then a 3-hour workshop this afternoon. The audience was bold, brave, vulnerable, warm, and so lovely. I'm on cloud 9. & If I'm being honest, this last week was kinda tough. I'm homesick. I miss conversations with people that actually know me. I'm unsure about the work I've created. and I'm unsure of how I can continue doing what I'm doing when I get home. However, I'm looking up and looking forward. The words I received from my fellow artists today at the workshop were exactly what I needed to hear. and no, I won't tell you what they were. ;) but I will tell you that I'm excited to get back into my music studio ASAP.